Forecasters are predicting sunshine and high temperatures in Northamptonshire this week. 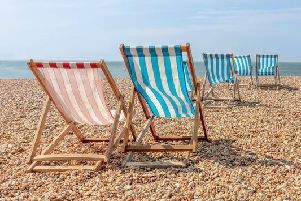 Temperatures are starting to hot up already with predicted highs of 23C by Thursday, according to BBC forecasters. The sunshine is set to stay well into next week with average temperatures sitting at between 17-19C. The Met Office outlook for Wednesday - Friday states: "Cloud soon breaking, leaving a mainly dry day with sunny spells and light winds. Dry and increasingly warm through Thursday and Friday with long periods of sunshine."